A big reason for the disparity: Virtually all lenders require mortgage holders to buy and maintainhomeowners insurance. But that doesn’t explain why more renters don’t protect their valuables. Likely reasons include mistaken assumptions about tenant/landlord responsibilities. 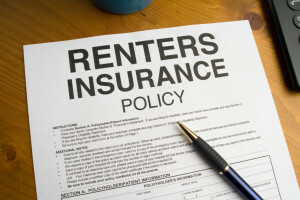 Considering that the cost of renters insurance ranges between $15 and $30 per month, according to the National Association of Insurance Commissioners, the pros of purchasing protection typically outweighs the cons. Renters also could qualify for discounts for common apartment features such as smoke detectors and deadbolt locks. Those with good credit also could qualify for price breaks on premiums.